RESERVE GRAND CHAMPION!! 3/8ths Accoyo!! 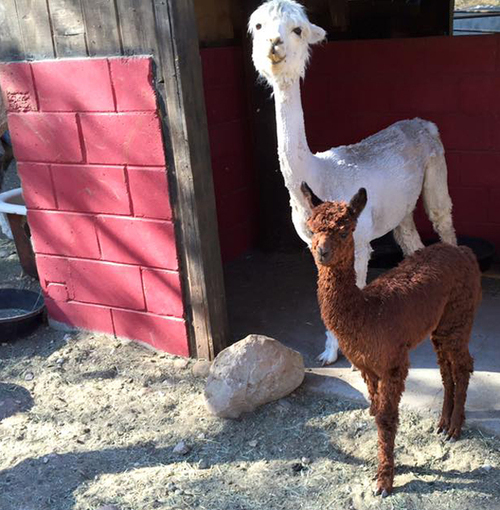 Blessing joined our ranch in spring of 2015 from Tanglewood Suri Alpacas. She is an older girl with a great history and we are proud to give her a forever home. June 14, 2015 Blessing had a gorgeous medium brown male cria sired from Captain Blackfoot... Blackfoot's Copper Blessing. Blessing is the result of crossing two top Accoyo lines and she exceeds all we were planning for. The amount of twist, sheen, and coverage is just breathtaking. She is white with Light Fawn on her head and down her neck. We knew she was a star right from birth, but she really started to shine when she started training for her first show. Her presence commands your attention and she loves to strut around the pasture. Blessing gets the Accoyo bloodlines from both sides of the tree which offers a very nice balance of quality.. Blessing's first breeding to any Benchmark Herd Sire is included and there are a few to choose from including Tambourine Man, a True Maroon or Sundance Kid, a Torbio/Gunsmoke cross. MAPACA - largest show and she took the Blue Ribbon. There were 13 awesome girls in her class including a wonderful Blazing Saddle Sister and Blessing was placed in 1st. Jude Anderson described Blessing's density, fineness and luster as superb and said that her conformation was striking from the moment she stepped into the ring. 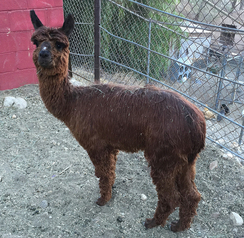 Copper is silky dark brown cria out of the famous FDA Captain Blackfoot. His dam, Benchmark's Perucoyo Blessing is an awarded full Accoyo white. 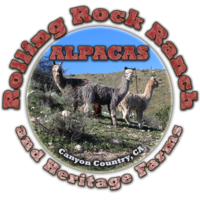 Both of his parents have produced many awarded crias. Copper has that delicious deep red brown fleece that silky soft. In the sun his shiny fleece has a bright copper finish that gave him his name. His conformation is about as flat and straight as is possible and he has a stunning full head. Copper has a very friendly and calm disposition. He always been extremely easy to handle. We are looking forward to showing Copper and anticipate that he is going to make an amazing sire.